Include a Waterfall – What better way to add visual interest to a static water feature than by including some moving water? In addition to the visual interest, the waterfall adds a soothing audio effect also. Add a Fire Element – For a more contrasting effect, add tiki torches, a fire pit or some other element that incorporates fire. The heat from the fire is also a nice counterpoint to the cooling effects of the water and vice-versa. Include Nature in the Design – Provide some natural shade with trees and shrubs while beautifying the area around the pool with flowers. Ensure that there is some distance between pool and plants, however, as most don’t tolerate the “conditioned’ water of the pool very well. 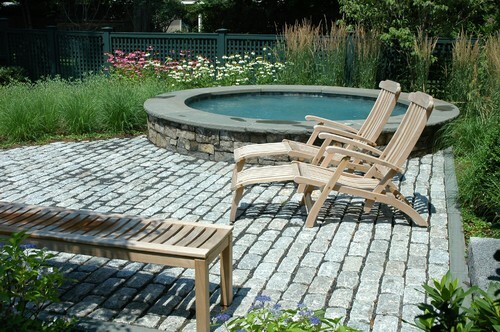 For more information on this topic or is you are already searching for Atlanta landscape designers, please contact us. Outdoor Expressions – Making your outdoor space a place to remember. Mondo Grass – Also known as monkey grass, this remarkably hardy plant withstands shade and low water conditions. In addition, it grows in mounds to add a nice textural element to your yard. 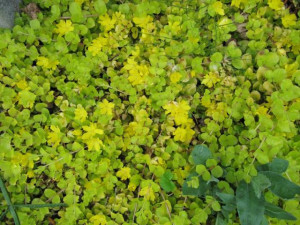 Creeping Jenny – Quick growing, this large-leafed plant makes a great filler along stone steps and, since it cascades, provides beautiful coverage over retaining walls. Snake Plant – If a little height is needed in a shaded part of your landscape, consider this variegated plant that shoots up quickly and adds a nice complement along a fence or in front of a hedge. For more information on our commercial landscaping firm in Atlanta, please visit at Outdoor Expressions – Making your outdoor space a place to remember. There is simply no excuse for watering a landscape while the sun is high in the air. Not only are you losing water to increased evaporation but may also be damaging your lawn. Installing hardscapes and planting drought-resistant plants is an excellent way to conserve water as both require far less water than traditional landscapes. For those who love the color and vibrancy of flowers, plants and shrubs, a drip irrigation system is an excellent way to get the visual impact they crave while still keeping their water needs to a minimum. 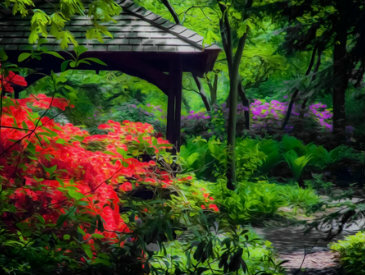 For more information on this topic of for help in finding the finest Atlanta landscape designers, please contact us at Outdoor Expressions – Making your outdoor space a place to remember. Though it will usually take some time to have an effect, planting trees on the southern side of your building will eventually block a substantial amount of the sunshine. For a more immediate effect, consider adding large shrubs and smaller trees to impede the flow of heat into your building. With a little forethought, this can be accomplished without blocking the view. Though often ignored, the placement of plants around a home can have a significant effect on the amount of heat that affects the structure. Instead of entering your home or business, it is willingly absorbed by the plants. Need further info on the benefits of commercial landscaping? Please contact us at Outdoor Expressions- Making your outdoor space a place to remember. 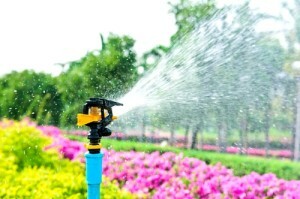 Watering – The key to a lush, green grass is to get water to the roots of your lawn. Water every three days – at night, please – for a solid hour rather than for twenty minutes every day. Fertilizing – Be sure to test for pH levels and any specific nutrients that your soil may need. 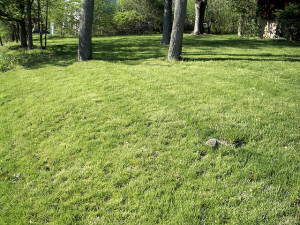 In addition, use a general, slow-release fertilizer to feed your lawn throughout the year. Seeding – The best time to seed is in the fall as the soil is still fairly warm and inviting while the air remains cool. This provides and excellent environment for new seed growth and diminishes the effect of evaporation on any watering that you do. For more commercial landscaping tips, please contact us at Outdoor Expressions. Hot Tubs – While an old favorite, the newest generation of hot tub technology adds some extra functionality that makes them great for the summer as well as the other seasons. Consider ones with hydrotherapy, pressure point treatments and whirlpool features. Water Features – These additions are a multisensory delight. In addition to the visual, water features provide a soothing backdrop of white noise, the tactile feel of flowing water and will even cool the space around them to some degree. Expansive Doors – Whether you choose the sliding or pivot variety, expanded-doors create a wonderful indoor/outdoor space that you and your guests can move between freely. For a truly distinctive look, try adding lift doors that completely disappear when opened. For more info on these trends and on hardscape construction in Atlanta, please stop by Outdoor Expressions – Making your outdoor space a place to remember.